Notes Valley National Bank will pay the FDIC a premium of 0.15 percent to assume all of the deposits of LibertyPointe Bank. In addition to assuming all of the deposits, Valley National Bank agreed to purchase essentially all of the failed bank's assets. Notes The FDIC was unable to find another financial institution to take over the banking operations of Centennial Bank. The FDIC entered into an agreement with Zions First National Bank, Salt Lake City, Utah, to accept the failed bank's direct deposits from the federal government, such as Social Security and Veterans' payments. Notes FDIC created Waterfield Bank, FA?a new depository institution chartered by the OTS and insured by the FDIC?to take over the operations of Waterfield Bank. The new institution will remain open until April 5, 2010, to allow depositors access to their insured funds and time to move accounts to other insured institutions. Notes Heartland Bank and Trust Company will pay the FDIC a premium of 3.61 percent to assume all of the deposits of Bank of Illinois. In addition to assuming all of the deposits of the failed bank, Heartland Bank and Trust Company agreed to purchase essentially all of the assets. Notes First-Citizens Bank & Trust Company agreed to purchase essentially all of the assets. Notes Umpqua Bank will pay the FDIC a premium of 1.04 percent to assume all of the deposits of Rainier Pacific Bank. In addition to assuming all of the deposits, Umpqua Bank agreed to purchase approximately $670.1 million of the failed bank's assets. The FDIC will retain the remaining assets for later disposition. Notes Heritage Bank of Nevada agreed to purchase approximately $38.0 million of the failed bank's assets. The FDIC will retain the remaining assets for later disposition. Notes OneWest Bank, FSB did not pay the FDIC a premium for the deposits of La Jolla Bank, FSB. In addition to assuming all of the deposits of the failed bank, OneWest Bank, FSB agreed to purchase essentially all of the assets. Notes FirstMerit Bank, N.A. will pay the FDIC a premium of 0.31 percent to assume all of the deposits of George Washington Savings Bank. 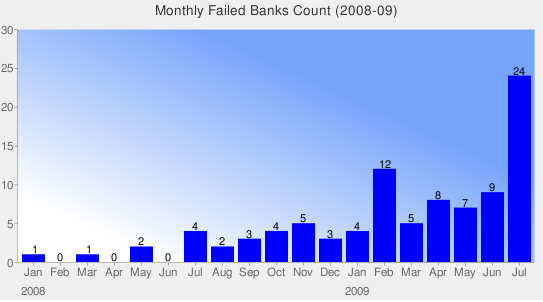 In addition to assuming all of the deposits of the failed bank, FirstMerit Bank, N.A. agreed to purchase essentially all of the assets. Notes Community National Bank will pay the FDIC a premium of 0.51 percent to assume all of the deposits of The La Coste National Bank. In addition to assuming all of the deposits of the failed bank, Community National Bank agreed to purchase essentially all of the assets.